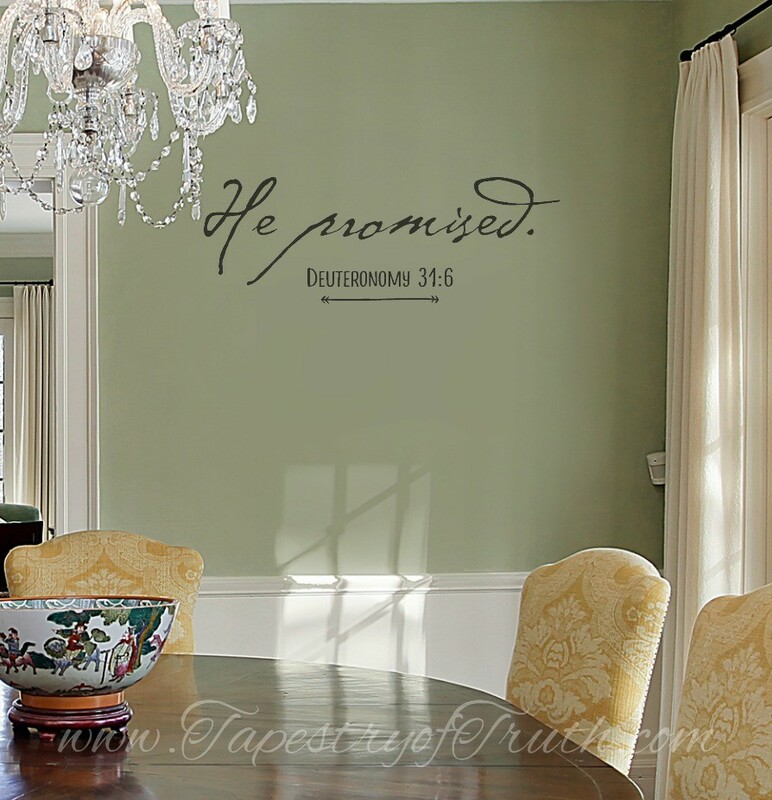 Vinyl lettering and decals to bring your walls and home alive with the Word of God! 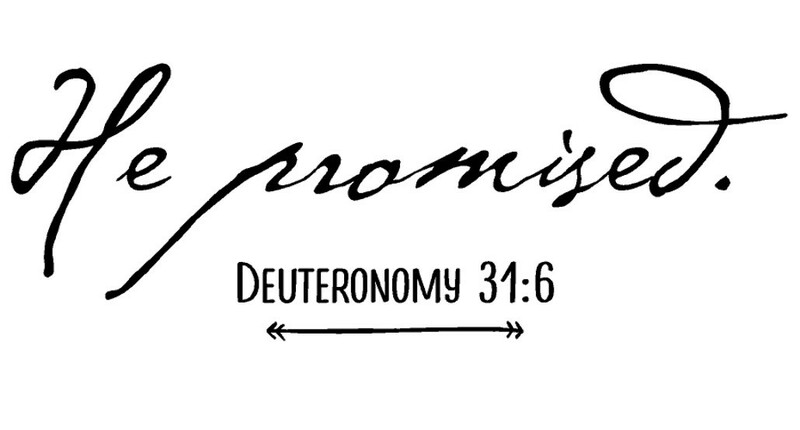 He promised. 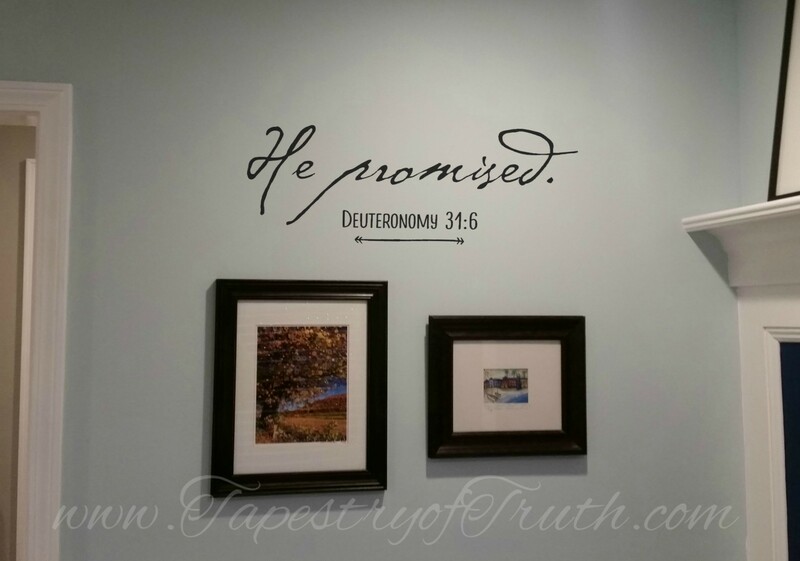 Deuteronomy 31:6 wall decal. 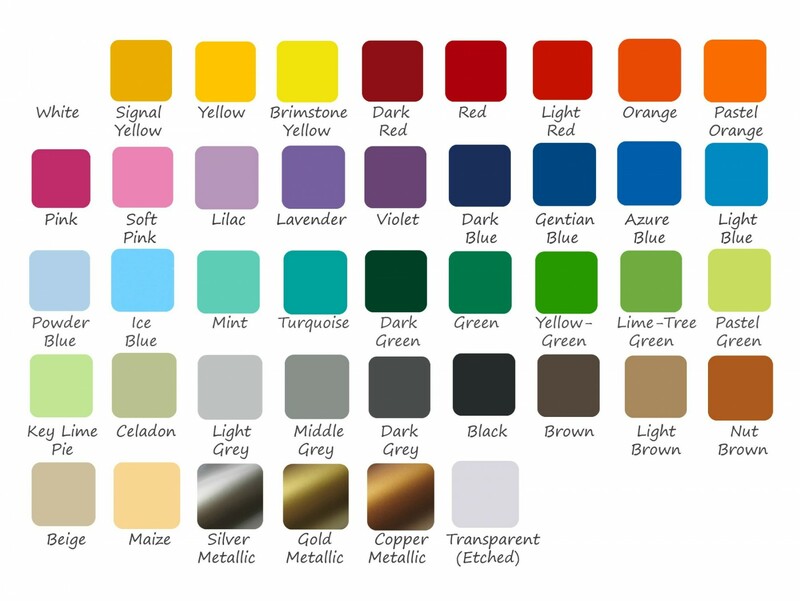 © 2015-2019, www.tapestryoftruth.com | All rights reserved.